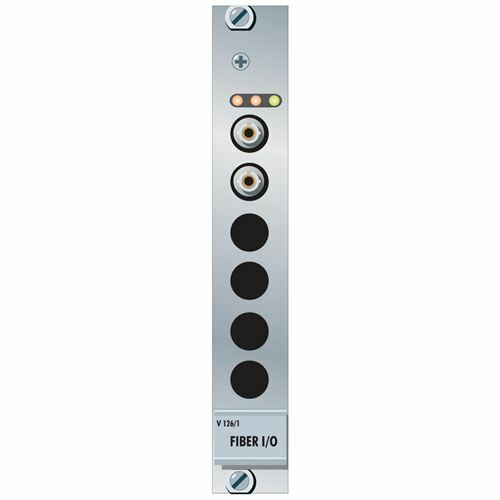 The fiber I/O plug-in card V\126/1 is an optical input and output card for all fiber optical connections within a VADIS system. The card has 1 transceiver for the reception/transmission of 64 mono channels per fiber optic connection. Each of these channels can be routed to any of the 256 VADIS frame channels and then can be redistributed to any other fiber optical connections. Each fiber optic channel can carry audio signals with 24 audio bits, 6 information bits and 2 bits for internal, serial information.